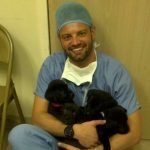 Joe Martins, DVM and Certified Fear Free Professional was born and raised in New Jersey and is a Rutgers alumni who also graduated from the University of Tennessee, College of Veterinary Medicine in 1998. While at Rutgers studying animal science pre-veterinary medicine, Dr. Martins was hired and entrusted by the State University to work the farm for 4 years. This job meant that every summer and every winter he was responsible for feeding, cleaning and caring for over 100 sheep, 50 goats, 50 pigs, and 20 horses. For someone who loved to drive tractors, bail hay, and experience nature, this was a dream job. 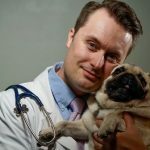 After veterinary school and completion of an emergency externship in Phoenix Arizona he began his career as a general practitioner for 5 years up at the Basking Ridge Animal Hospital. After that he also worked at the Hunterdon Hills and Long Valley Animal Hospitals in pursuit of fulfilling his life-long dream of working at a practice with a clear vision of helping people and their pets. In 2002, Dr. Martins began working at Belle Mead Animal Hospital. After 3 arduous years, he purchased the hospital and was able to fulfill his dreams of ownership. Since then he has proudly worked to make Belle Mead Animal Hospital a warm, positive family environment with the best caring and healing that people could trust. Dr. Martins’ professional passions, to name a few, include veterinary dentistry, animal behavior, pain management, and preventative medicine. His other greatest joy is spending time with his beautiful family, including his wife Lara, son Henry, his five cats, (Tai, Turbo, Nelson, Tino, and Lion), his two dogs, (Heidi and Peanut), and recent goldfish, Dorothy. Kim Somjen, DVM CCRP cVMA graduated from Tufts University School of Veterinary Medicine in May, 2006 and joined the team at Belle Mead Animal Hospital in July, 2006. Dr. Somjen’s interests include physical rehabilitation, acupuncture, pain management, and small mammal exotics (including rabbits, rats, guinea pigs, and chinchillas). 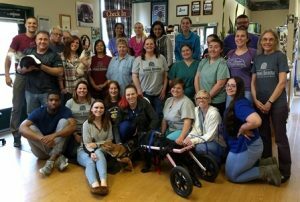 Dr. Somjen achieved her Certification as a Canine Rehabilitation Practitioner and has completed the Certified Companion Animal Pain Management Program through the University of Tennessee’s College of Veterinary Medicine. Dr. Somjen is also certified in Veterinary Medical Acupuncture through CuraCore Integrative Medicine and Education Center, and has undergone additional training in myofascial trigger point therapy and attended the Canine Trigger Point Therapy Class through MyoPain Seminars. She is a member of the International Veterinary Association of Pain Management and is pursuing certification as a Veterinary Pain Practitioner. Dr. Somjen is very interested in ensuring that all our of pets live as pain-free as they can and strives to be able to help all her clients and patients create the best life possible. Dr. Somjen currently lives with three dogs – Doberman Cherrybomb, Border Collie Chill, and American Staffordshire Terrier mix Gadget as well as three cats – BH, Kiwi and Cobra. 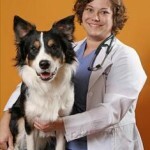 In her spare time, Dr. Somjen enjoys training and showing her dogs in obedience, rally obedience, herding and nose work. Chill is currently trialing for his Obedience Trial Championship and has placed twice in national competitions. Dr. Somjen also enjoys reading, and if she is not training her dogs she can be found either hiking with her boyfriend and the dogs or relaxing at the beach. 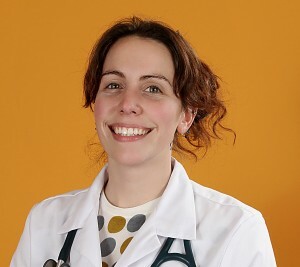 Heather Simon-Buonocore, VMD graduated from the University of Pennsylvania School of Veterinary Medicine in 2007. 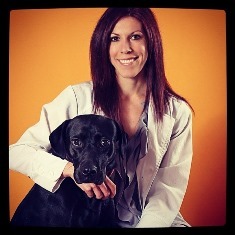 She completed an internship in Small Animal Medicine and Surgery at Red Bank Veterinary Hospital in 2008. She also received experience as an Intern in Small Animal Neurology and Neurosurgery at Red Bank Veterinary Hospital. Dr. Simon-Buonocore’s clinical interests are Neurology (seizures, spinal cord injury, vestibular disease), Internal Medicine, Emergency Medicine and Dermatology. She joined Belle Mead Animal Hospital in May of 2009. She has one dog (Bonnie), three cats (Cleopatra, Camus and Pita) and a rabbit (Glia). Dr. Simon-Buonocore is an avid outdoor enthusiast. She runs, hikes and back packs, often with her dog Bonnie. She is an endurance athlete with a passion for trail running and ultra-long distance running. She has run many half-marathons and marathons. Currently, she has run over 40 Ultra Marathons (distances exceeding marathon length), including many 50 mile, 100K and 100 mile races. She has run for charities, including the ASPCA, raising money for animals in need. Jessica Stephens, DVM obtained her undergraduate degree in 1998 at Penn State University with a Bachelor of Science and Minor in Psychology. From there Dr. Stephens was an animal keeper at Lion Country Safari where she provided care for their reptile, primate, and avian collections. 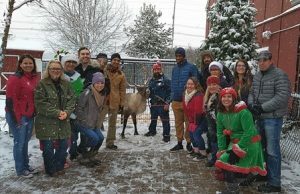 She received her veterinary degree at Purdue University in 2004 and completed two coveted externships at the San Francisco and Indianapolis Zoos. After graduation, Dr. Stephens completed a general medicine and surgery internship at Red Bank Veterinary Hospital in Tinton Falls from 2007-2008 followed by a Surgical Internship in 2009 at Affiliated Veterinary Specialists in Florida. While in Florida, she used her spare time to work at various south Florida 24 hour emergency hospitals to enhance her urgent care and trauma treatment skills. Dr. Stephens is an outstanding general practitioner who is well prepared for any emergency that comes through our doors. Additionally, she has always had a special interest in exotics and has spent the last two years becoming current with advances in Avian and Reptile medicine so she may provide care to our feathered and scaled friends at BMAH. When not working she is a proud mother of a beautiful son. 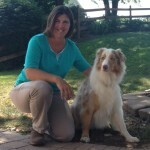 Debra White, DVM obtained her Bachelor of Science degree at Penn State University in 1990. She Graduated with her veterinary degree from Michigan State University in 1994. She has been practicing in New Jersey for the past 18 years and provides our clients with excellent up-to date preventative care and client education. Erin Rockhill, DVM received her Bachelor of Animal Science degree from Rutgers University Cook College in 2007 and her Veterinary Degree from Tuskegee University in 2012. She completed an externship at NorthStar VETS. Her veterinary passion began by doing shelter work in high school, and she understands how overpopulation can affect pets living in shelters. In 2015 she had the opportunity to volunteer her time and sharpen her surgical skills with the Caribbean Spay Neuter organization working in high volume clinics for animals around the Caribbean, both stray and owned. She believes in how important it is to better the lives of those animals on the islands by sterilization and therefore decreasing overpopulation in the streets and in the shelters. Her interests include but are not limited to veterinary dentistry, surgery, and creating pet weight loss plans which is very important to increasing the longevity of pets. She also treats goats and pot-bellied pigs for general health and vaccine appointments. In her down time, Dr. Rockhill enjoys hiking with her boyfriend and Dobermans MJ and Marzipan, working on various projects in her house with her dad, relaxing on the beach or in the mountains, traveling, and keeping in shape. She has completed four “Tough Mudders” and plans to do more in the future. She also enjoys snuggling with her cat, Mango, at home. 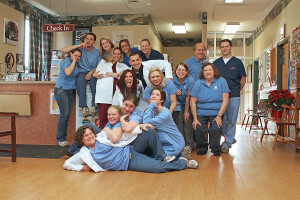 Dr. Rockhill is a valued and energetic asset to the Belle Mead Animal Hospital team. Daniel Pascetta, DVM – A career in veterinary medicine was a natural choice for Dr. Pascetta. He grew up in northern New Jersey surrounded by animals from dogs and cats to birds and turtles. He received his Bachelor of Science degree at Rutgers University in 2007. During his time at Rutgers he worked as a veterinary technician at Belle Mead Animal Hospital. Upon graduation he spent several years working in contract research before deciding to continue his education in veterinary medicine. He was awarded his Doctorate of Veterinary Medicine in 2014 from The Ohio State University. Upon graduation he spent several years in general practice in Bethlehem, PA before coming home to Belle Mead Animal Hospital. He is interested in all areas of veterinary medicine, but cases involving ophthalmology, diagnostic imaging, and surgery are especially fascinating to him. Dr. Pascetta shares his home with a goofy Boxer named Maddie and a spunky domestic long haired cat named Parker. 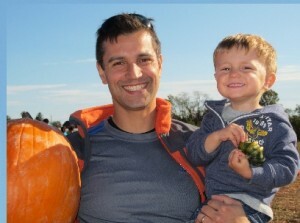 In his free time, Dr. Pascetta enjoys playing soccer, sand volleyball, biking, cooking and reading. 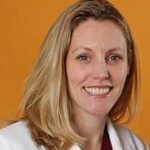 MJ Hamilton, DVM, DACVIM (Onc) joined the Belle Mead Animal Hospital team 2018 as our in-house oncologist. He received a Bachelor’s degree in psychology and his Doctor of Veterinary Medicine degree at Colorado State University. After two years in general practice in Las Vegas with a focus on oncology, behavior and theriogenology, he went on to complete a residency in medical oncology at Michigan State University Center for Comparative Oncology. Dr. Hamilton participated in research trials and lectures around the state. In his spare time he enjoys hobby farming. Johanna Frank DVM DVSc Diplomate ACVIM (Internal Medicine) has had the pleasure of working with the wonderful doctors and staff at Belle Mead Animal Hospital for over 12 years. Dr. Frank is originally from Montreal, Quebec, Canada. She graduated with high honors from the Ontario Veterinary College, University of Guelph in 1994. She completed a rotating internship in small animal medicine and surgery from North Carolina State University in 1995 and then returned to the Ontario Veterinary College for a residency in small animal internal medicine, which she completed along with a doctorate degree of Veterinary Science (DVSc) in 1998. Dr. Frank achieved board certification by the American College of Veterinary Internal Medicine (ACVIM-small animal) in 1998. Dr. Frank worked at a specialty referral practice, in Littleton, Colorado as an internist until 2002. She then provided telemedicine consultations for Sound Technologies, which allotted her a sound basis for communication with general practitioners with regard to case interpretation and direction for diagnostics and treatment. Concurrently, she ran her own small consulting business in Fort Collins, Colorado, providing in-clinic internal medicine consultations and endoscopy. From 2006-2015, Dr. Frank worked with New Jersey Mobile Associates as a medicine consultant and mobile sonographer. With a significant caseload and large variety of cases and clinics, Dr. Frank has become extremely proficient as well as efficient at sonographic examinations and consultation with general practitioners. 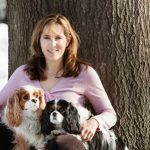 She started her own business, VetSound IM LLC in 2014, providing sonographic and medical consultations in New Jersey and Bucks County, PA. Dr. Frank co-authored The Curbside Guide to the Diagnosis and Treatment of Common Sonographically-Detected Disease: Canine and Feline which was published in 2015. Dr. Frank, along with her husband, is busy raising three teenagers who keep them on their toes with all their sports and activities. Their two Cavaliers, Miley and Moose; two cats, Bell and Rudy; and two horses, Tori and Fhiligree, complete their family. In her “spare time,” Dr. Frank really enjoys riding and competing in dressage, as well as photography and reading for her book club.